Rats are very intelligent creatures and require a lot of love and attention. They most commonly thrive better when they have companions in their cage of the same gender. 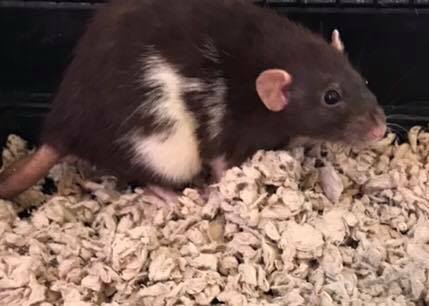 Rats will mate if they are with a different gender rat, so if you do not want baby rats, get multiple of the same gender. A rat’s diet isn’t too different from other small animals. They are omnivores so they will eat meat, vegetables and fruits. A fact not a lot of people know about rats is that they can only digest some cheeses such as, Cheddar, Colby, Gouda and a few others. Some cheeses rats should avoid at all costs are, Mozzarella, Blue Cheese, Cottage Cheese, Cream Cheese, Ricotta, Feta, Brie, Camembert, Stilton, Gorgonzola, Queso Blanco, and, Mascarpone. Setting up a rats cage isn’t too difficult all you need is a big enough cage for your number of rats, bedding, a water container, a food dish and toys (optional). Your gonna want to make sure there isn’t any openings in the cage for the rats to get out or get stuck in. And always clean the cage out before you set it up so your rat doesn’t get sick from any germs. Last but not least, how to train a rat. Training rats is a long process so you need to have time and patience. Rats are very smart so some may catch on quickly to what you are trying to teach. The easiest way to teach a rat is by using treats. For example if you are trying to teach your rat how to jump through a hoop, you are going to have to let them know you have the treat. Second, you are going to want to hold the treat on the other side of the hoop and wait for the rat to try to get it. 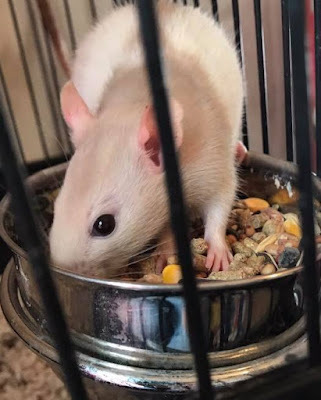 Overall rats are very good pets to have if your looking for a small, fluffy animal to love and take care of. I've heard how intelligent rats are. They sound interesting but I have to admit I won't be keeping them as pets, lol.